Students from the Maine-Endwell School District got a unique STEM lesson today. 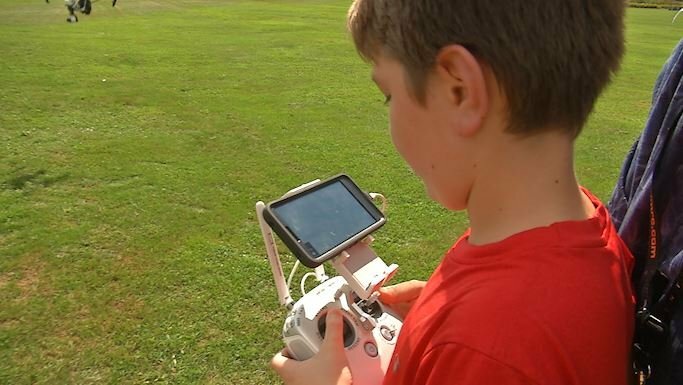 "Science in Flight " is a program that teaches students about drones and remote control helicopters. While these can be used recreationally they also have important uses in professional fields. Christopher Fletcher, drone master pilot, and educator had videography and search and rescue lessons on the itinerary for the elementary students. Fletcher said, "this is something that is basically the beginning of the whole tour of the science field, the technology every day is advancing and moving even further than it is right now every day it just changes".